Each summer we order turkey poults to raise for you. These turkeys are fed non-GMO feed from the beginning and are left to roam the farm as they grow. Enjoying their freedom within the care of the farm and their coop...as it should be. 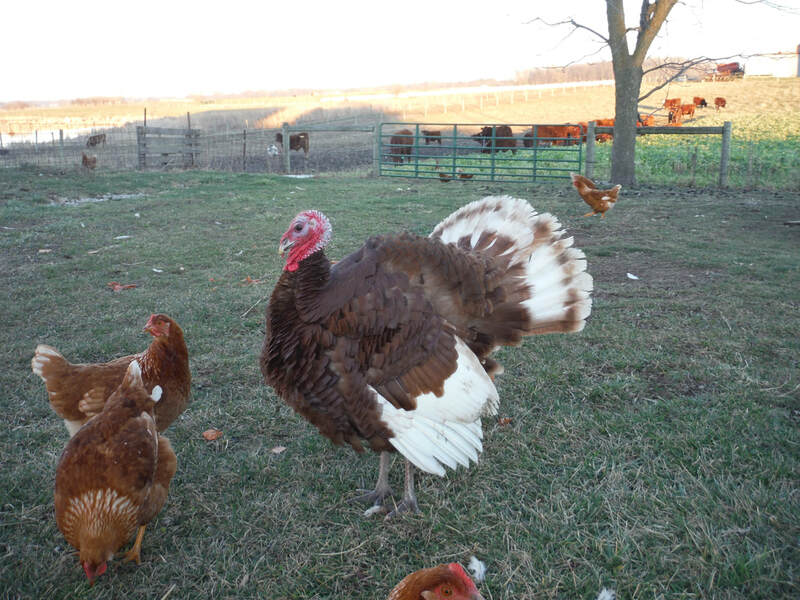 We order turkey poults in the summer to be ready for you the week of Thanksgiving. If you want to be sure to get one, order in the spring. We will also take orders for Thanksgiving turkeys in the fall. We do not carry an inventory of poultry on the farm or at Fresh Food Hub at this time. If you want to enjoy free-range, non-GMO turkeys make sure to order directly from us.